Krishna “Balki” Balakrishnan, Ph.D., M.B.A.
Krishna “Balki” Balakrishnan joined NCATS in 2011. As a senior technology transfer manager, he works with scientific staff members to facilitate their collaborative efforts. Balakrishnan assists in all aspects of developing these strategic alliances, including helping to define the contours of the collaboration, delineating roles and responsibilities for the various parties and troubleshooting any challenges that may occur during the collaborations. Before joining NCATS, Balakrishnan served as executive director at the Foundation for Advanced Education in the Sciences, a nonprofit foundation affiliated with NIH. His earlier positions at NIH include marketing group leader in the NIH Office of Technology Transfer and senior technology development manager at the National Heart, Lung, and Blood Institute. 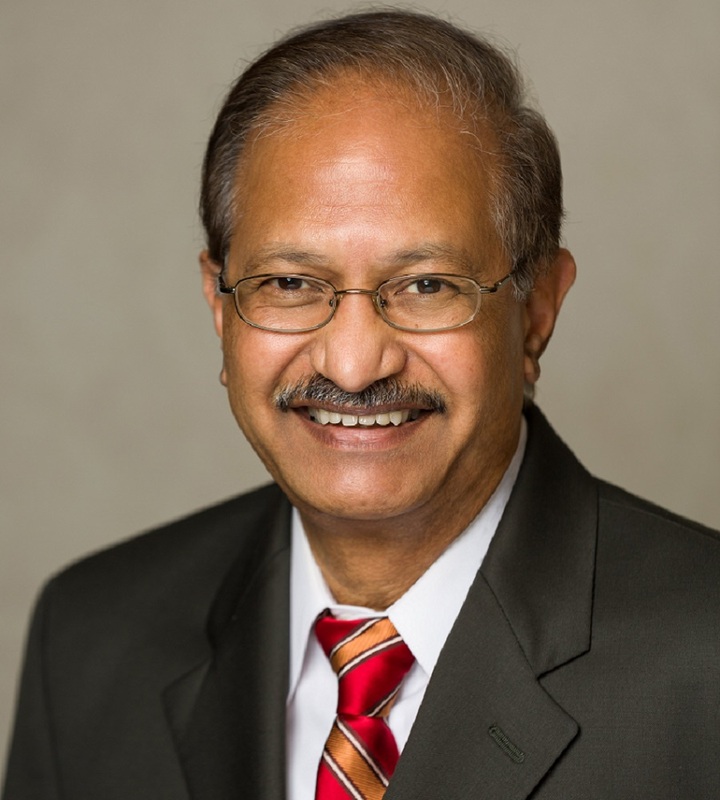 Before joining NIH, Balakrishnan was vice president of technology and business development and vice president of research and development at a division of Covance, formerly Berkeley Antibody Company. He earned a Ph.D. in biophysical chemistry from Stanford University and an M.B.A. from the University of California, Berkeley. He is the co-inventor on two U.S. patents and has published and presented extensively on scientific subjects as well as technology transfer matters. Balakrishnan is interested in exploring unique ways to communicate and connect with all categories of outside collaborators who can move NCATS’ translational projects forward. He believes that all players in the translational space share many common goals, and he focuses his interactions with NCATS’ partners on looking for these areas of common interest and then incorporates them into the collaboration agreements. Balakrishnan also serves as a mentor to young scientists who are looking to broaden their career options. He helps them explore alternate careers in science, since the shrinking of research dollars and the scarcity of traditional academic research positions has made such exploration critical to career success. Beyond Patents and Royalties: Perception and Reality of Doing Business with the NIH. Bringing nanomedicines to market: regulatory challenges, opportunities, and uncertainties. A simple and rapid method for the preparation of plasma membranes. Fusion and biochemical expression of membrane receptors in foreign living cells. Lipid hapten containing membrane targets can trigger specific immunoglobulin E-dependent degranulation of rat basophil leukemia cells.